The horoscope is a marvelous tapestry of human potential. What most people don't realize about a birth chart, however, is that by itself it is merely a piece of paper. Someone must activate it, and then guess what? You're it! YOU and your life experiences bring meaning to a horoscope. You make it come alive. Having said that, there are factors in our universe that tend to specifically assist in this process. Namely, the position of the planets in the sky at any given time and their relationship to your personal birth chart. This is known as a transit. 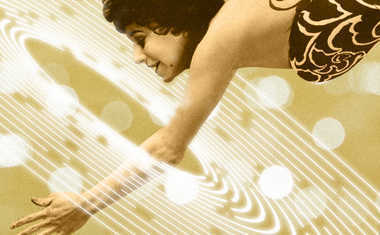 Transits are one of the most critical pieces of predictive Astrology. Transits of outer planets to any angle of your chart (the 1st, 4th, 7th, and 10th) will bring about your most significant opportunity for life change and development. This is when you get married or divorced, when you move or start a family. It's when you experience a major career milestone, or other major personal shift. The angles of your chart are points of expression, and the transits trigger these points -- essentially waking them up. Although I am a firm believer that transits to one of your angles or personal planets (Sun, Moon, Mercury, Venus, Mars) are the most important in terms of potential life-changing events, I will say it is quite interesting to notice when any outer planet (Saturn, Uranus, Neptune, Pluto) or even Jupiter, moves into a new house in your chart, regardless of its angularity. Why? In my view, these shifts of a transpersonal or outer planet into a new house are valid occurrences in their own right. They offer your birth chart an opportunity to "make some noise." Let's take Saturn as an example. Because Saturn is the planet of karmic debt and responsibility, his transit through any house in your birth chart is a time where you are called to "grow up" in that area of your life. You're meant to mature through hard knocks; by doing the work. If you cooperate, then Saturn tends to provide you with a reward -- when the transit is complete. I love tracking Saturn's transit through houses because it is a rich opportunity for focused soul growth. When Saturn leaves one house and touches upon the next he will not only let you know if you passed or failed his test in the previous house, but he'll also give you a fairly good idea about what is in store for you when he moves into the next house. Think of it as a karmic sneak preview. One fascinating and example is from my personal life and birth chart, when Saturn was moving through my 7th House of Relationships. The 7th house is concerned with committed partnerships of all kinds, business and personal. While Saturn is moving through the 7th house (we all get a turn for this about once every 29 years), you can anticipate a karmic test in at least one close personal relationship. You're meant to "get real" about commitment. Relationships that are meant to survive this transit will, but if they're not, they tend to fall apart. The trouble is that if you know the relationship needs to end and you keep trying to hold on, Saturn usually makes it more difficult for you. In essence, you're trying to avoid his inevitable lessons. In my case, I entered this transit while divorced but in a long-term relationship with a man I would call my "part-time" boyfriend. This partnership was monogamous, but extremely sporadic. I only saw him a few times a month for many years. Saturn was asking me to get serious -- to make a commitment or end it. I avoided an actual commitment like the plague. I had trouble integrating this man fully into my family and life, and although he was a wonderful, patient, and understanding man, this eventually took a toll on him and us. It was precisely when transiting Saturn was at the end of my 7th house that we said our final goodbyes. The relationship could not survive; it didn't have the substance Saturn demanded. That very same week I was supposed to have a surgery that I very much wanted. Without going into all of the gory details, it would hopefully eliminate my need for iron infusions that I required for the previous year and a half due to chronic anemia and iron loss. Enter Saturn touching my 8th house cusp. The 8th house rules surgeons, surgery, and insurance companies. It's money that comes to you from sources besides your own direct income -- like insurance payouts. Wouldn't you know it, the night before my surgery, my insurance company cancelled my surgery! My doctors and I were dumbfounded. How could this be? The night before, no less ... talk about crazy! Saturn entering my 8th house certainly made his presence known in my birth chart. Saturn blocked me from having the surgery for the specific reason that the insurance company refused to pay. I appealed the case with my doctors during the next two weeks and lost the appeal. Saturn was then fully in my 8th house. Of course I lost. Saturn won. And then I had to play by the insurance company's rules and go through a three-month trial of a certain medication. They would only pay for the surgery if that medication failed to alleviate the problem. And that, my friends, is how the stuff of life happens. 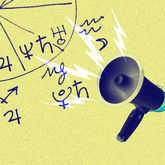 How a birth chart makes noise. What kind of noise is your birth chart making these days? More importantly ... are you listening?